Pathology is a significant field in the modern medical diagnosis and medical research, concerned mainly with the causal study of disease, whether caused by pathogens or non-infectious physiological disorder. Pathology includes the related scientific study of the disease process. Pathology plays a vital role in all aspects of medicine throughout our lives. 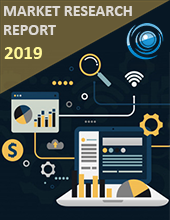 The global digital pathology market was valued at $0.42 billion in 2019 and is estimated to reach $0.95 billion by 2025, at a CAGR of 13.4% during 2019-2025. The critical factors responsible for the growth of the global digital pathology market include growing trend of digitalisation in the medical sector, rising Incidence of cancer, increasing opportunities by governments and industry players and growing applications of digital pathology in drug development. The high cost of digital pathology systems, lack of reimbursement and inadequate infrastructure are hampering the market growth. The future scope of the global digital pathology market is disabling the deficiency of pathologists through digital pathology, personalised medicine, the addition of laboratory and digital pathology systems, integration of laboratory information systems (LIS) and digital pathology systems. The global digital pathology market is segmented based on the type, product, application, end user and geography. By type, the global digital pathology market is segregated into human pathology, veterinary pathology. Human pathology is the largest market in the global digital pathology market owing to the factors like increasing adoption of the digital pathology to enhance lab efficiency and growing applications of digital pathology. Veterinary pathology is the promising segment tending towards the market growth. By product, the market is segregated into scanners, software, communication systems, storage systems. The software is expected to register the highest growth and is also largest market by product due to the availability of analytical, user-friendly and advanced functions for pathology diagnosis. By application, the market is categorised into teleconsultation, disease diagnosis, drug discovery, training and education. Tele-consultation is the largest market and is expected to register the fastest growth in the global pathology market owing to the increasing need for quality, and fast diagnosis have enhanced the utilisation of teleconsultation applications. By geography, North America is the most significant market share in the digital pathology market owing to increasing usage of digital pathology for disease diagnosis and favourable reimbursement policies in the U.S. for improving the quality of cancer diagnosis. Asia Pacific region is the fastest growing region due to the presence of a large target patient population, and booming healthcare industry is encouraging the growth of the regional market. Visiopharm has entered an agreement with HAMAMATSU to sell their portfolio of slide scanners, co-branded as Oncotopix® Scan, for clinical customers in Europe. Bayer develops companion diagnostic test for cancer patients together with Leica Biosystems. Along with these companies, there were many other companies considered/ cited in the report while analysing the Global Digital Pathology market. These companies hold substantial share-owning to the nature of the industry whereas the rest of the market shares are marginal chunks to regional and local level manufacturers. Other players have considerable presence owing to its robust brand image, geographical reach and stable customer base. 10.7. Ventana Medical Systems, Inc.